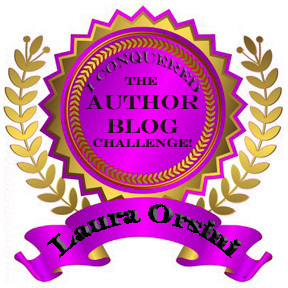 What’s your book signing attention-getter? What’s the first thing you think of when you hear the word “gimmick”? Does the word gimmick have a positive or negative meaning? It is not obvious to me from a Wikipedia article. I also would be glad if someone could explain it in two words, not several paragraphs spread across ten articles as in wiki. I understand that there are several meanings, but what do you think about when you first hear it? It definitely has a negative connotation. It is a trick advertisers use to get your attention or to get you into their stores. Yes. It can be either positive or negative depending upon context. Magicians, for example, usually use it in a positive context. [G]immick implies something added on to an object or product to make the object more appealing than other similar objects, despite that fact that it might have nothing to do with the purpose of the object. Regardless of your personal emotional response to the word gimmick, the fact remains that having an attention-getter as a regular facet of your book signings is a winning strategy. 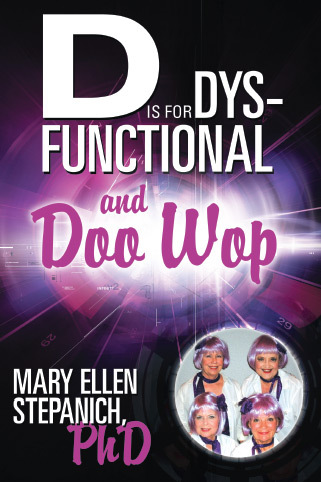 Mary Ellen Stepanich is the author of a memoir titled D Is for Dysfunctional and Doo-Wop. Mary Ellen and her Doo Wop quartet have been singing barbershop style four-part music for more than a decade, having a ball performing for audiences throughout Arizona. Here’s the thing: Lilac Crazy, Mary Ellen’s quartet, accompanies her and performs at every book signing! So I’m guessing the chances that you have any sort of regular musical accompaniment at your signings is fairly slim. Here’s the question: WHAT could you do, wear, or use as an attention-grabber that will set your book signings apart from others and create some authentic word-of-mouth interest? LA Mascone is preparing to release her first novel, The Moondead, just in time for the holiday season. When two gruesome slayings turn a remote desert city in Arizona upside down, Major Crimes lead night detective, Lt. John Padric, goes searching for answers. Local media is all over the story, calling the victims the moondead. Someone is targeting priests and nuns in the fictitious city of L’Arroyo; they’re dying on moonlit nights, the crime scenes macabre. A chance encounter brings an assist from archeologist-turned-nun, Sister Magdalen, and the convent of San Miguel. The cop and the nun meet when the detective must deliver the news that one of their Sisters was found dead of a near-decapitation. A quartet wouldn’t quite be appropriate for Mascone’s book signing. But would you sit up and take note if a character woman in a nun’s habit appeared from the midst of the crowd at a book signing? What could you do to garner similar attention at your own signing events? Are you the author of a Mexican food cookbook? How about a sarape and sombrero? Story about a mouse that lives in a grandfather clock? How hard would it be to cart along a cardboard grandfather clock prop to your book signing and play a background recording of the clock tolling? Would these be gimmicky? Maybe. Is that a bad thing? Of course not – especially if you sell more books! So get over your fear of the word “gimmick” and embrace the PR stunt that will help people remember you and your books. Here’s to making yourself memorable! The conversation during a recent meeting of the Phoenix Publishing and Book Promotion Meetup turned to the topic of partnering with a nonprofit as an excellent way of marketing one’s book. Kebba Buckley Button, a member of the group, expanded on the topic in her Nov. 2nd post for our group blog. All told, it is an exceptional post that provides concrete steps one could take toward creating a meaningful partnership with a nonprofit to benefit both the organization and the author. On the matter of collaboration between an author and a charity: Do you have information about accountability and set up? How does one ensure that the charity in question gets what is due them? How can they protect their reputation and credibility? It would seem that the direct mailing and accounting involved is difficult, time-consuming work. As I initially interpreted the question, I read it as the author asking how to make sure they were partnering with a reputable nonprofit. While that is an excellent question, this is actually asking the reverse: How does the nonprofit protect its reputation when choosing its partners? Two sides of the same coin, really. I would also suggest that the author ask for referrals to a few clients/beneficiaries of the nonprofit to see if/how the organization’s goods/services are distributed. Any hesitation by the nonprofit to provide such names should raise red flags. While many people are under the impression that corporate donations make up the majority of nonprofit funding, this couldn’t be further from the truth. Nonprofits rely hugely on the goodwill of their volunteers and donors to sustain themselves. In fact, the National Center for Charitable Statistics provides the following statistics for 2012 charitable contributions in the United States. And often, charities hold funding drives and campaigns in which donors, large and small alike, offer what amount to promissory notes. The thing is, the auditors require those charities to record these promised amounts as actual donations. What’s the nonprofit’s next job? Collect on all that promised money, of course! So when you see that telethon or open the door to the neighbor kid who’s collecting for next weekend’s bowl-a-thon and say you’ll give $50, but you never get around to writing or mailing your check, however inadvertently, you’ve actually shorted the charity on the money it’s already recorded as RECEIVED in its ledgers. The same would be true for any promises an author makes to deliver in a partnership with a nonprofit. The organization has no choice but to take you at your word that you will actually come through with that promised percentage of your book sales or promotion of its cause in your newsletter or offer to speak at its next fundraiser. If the author welches, the organization is left holding an empty bag. 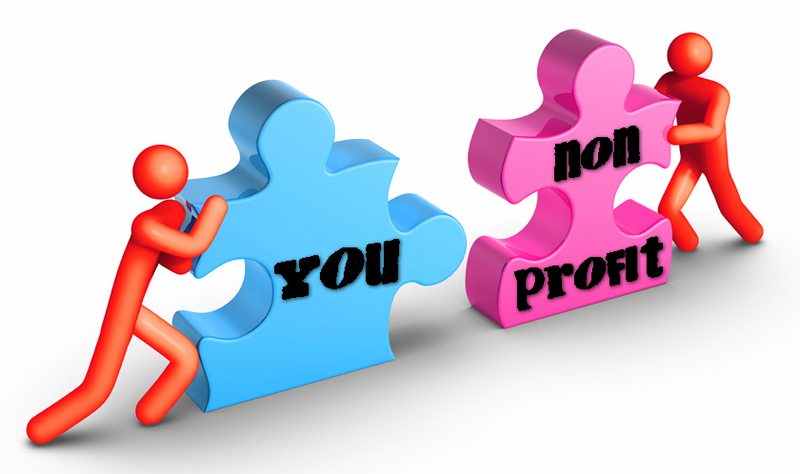 What can the nonprofit do to protect itself? Same sorts of due diligence the author would do. Ask for references. Google the author. Find out how long he or she has been in town, and the other sorts of community involvement he or she has on record. Lastly, I would recommend a very thorough documentation of the precise terms of agreement for both parties: what the author is expected to deliver and the dates for delivery, as well as what the nonprofit promises to do/provide in exchange. Partnership can most definitely be a win-win for both the organization and the author – as long as both sides benefit and honor their agreements. At a recent meeting of the Phoenix Publishing and Book Promotion Meetup, we discussed the where’s, why’s, and how’s of planning a live book tour. Understandably, authors report varying success with and preference/dislike for book tours. Drawbacks mentioned include the fact that they take time to plan, can be costly, and provide access to a limited number of prospective readers. As we head into the last month of marketing in preparation for the Phoenix Holiday Author Event, coming up on December 6, I’d like to share a quick story about the power that can come of a face-to-face signing opportunity. This is my second go-round at planning a big, multi-author event. The first was the Phoenix Summer Author Event, which took place back in August. One of the authors who participated in that event was Betsie Harvie. 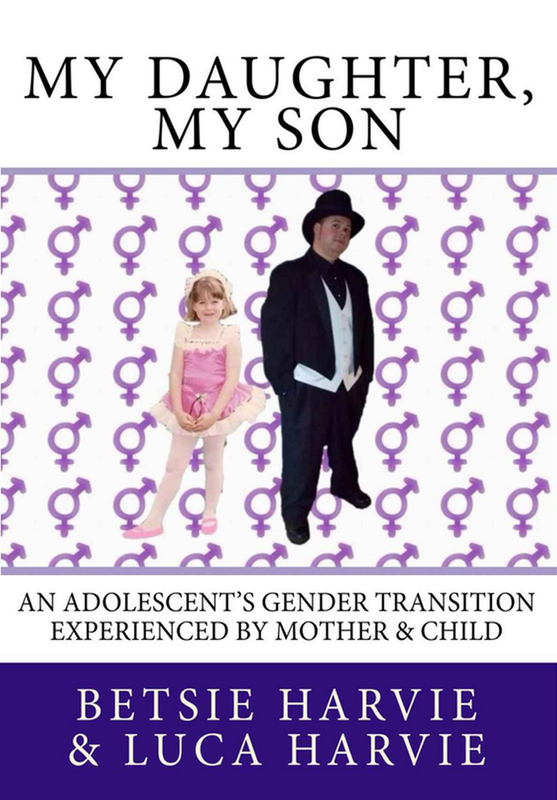 Her book, My Daughter, My Son, is the story of an adolescent’s gender transition, as experienced by mother and child. The Summer Author Event allowed Betsie to do just that. A friend of mine, Scottsdale interior designer Katie Strand, told me a week or so after the event that while she enjoyed herself, she spent the first hour or so there wondering why she’d gone. She’s a reader, but has plenty of books at home and didn’t really feel a need to buy any new titles. Nevertheless, perhaps the pressure of networking and the power of my delightfully designed postcards worked, because Katie found herself at the Summer Author Event in spite of herself. And while she was there, an unexpected thing happened. It turns out that a neighbor of Katie’s has a child who’s going through an experience similar to Luca’s with a desire for a gender reassignment. The mother is supportive, but the ex-husband father is adamantly opposed and fighting her at every turn. Katie took Betsie’s information and passed it on to her neighbor. With estimates putting the number of the population who identify as transgender at 1 percent, it’s vital that this mother no longer feels that she’s going it alone. Perhaps Katie’s neighbor would have come across Betsie’s book anyway. Maybe she might even have met her at a support group. But the fact is that a crucial connection was made at the perfect time – a connection that occurred only because of a live book signing event. Betsie will be joining us again for the Holiday Author Event. Getting out from behind the computer to meet real people is, in my humble opinion, always a good idea. Plan carefully and set realistic limits on your tour. But meet people in person, share your book with them, and come back and tell us your stories here. Here’s to a successful book tour! Originally ran on Sunday, October 26, 2014. I learned to read fairly early – at age 3-and-a-half or 4 – not because I was particularly precocious, but because I wanted to be able to read the Sunday comics on my own. So I demanded that my dad teach me how to read. Over the years, as the comics have waned in column inches and volume in daily newspapers, my interest in them has simultaneously declined. No longer the first thing I reach for, days can go by without my even seeing a comic strip. Yesterday, however, I noticed and read the color comics, and this Pearls Before Swine strip caught my attention because it so well captures the human condition – including the attitude of many authors. I’m sure neuroscientists and sociologists and psychologists have studied what it is about human nature that so routinely causes envy rather than celebration when we hear of someone else’s success. And if it’s someone in our field (e.g., a fellow novelist, business coach, financial advisor, or guitar instructor), our envy level is likely to go off the chart! It’s an abundant universe – someone else’s success does not mean my failure – yet we so often view it that way. Sometimes aphorisms have their place, and this is certainly one such situation. Even if it may not feel like it in the immediate moment, your fellow author’s self-publishing success is a good thing for you! And it would be much better for you if you could celebrate with him or her than let the green monster consume you. Envy is one of the surest causes of self-sabotage, so find a way to be genuinely happy for your successful author friends. Being less than happy for others who are succeeding – particularly in the area where you want so badly to do well – inhibits your own chances for success. 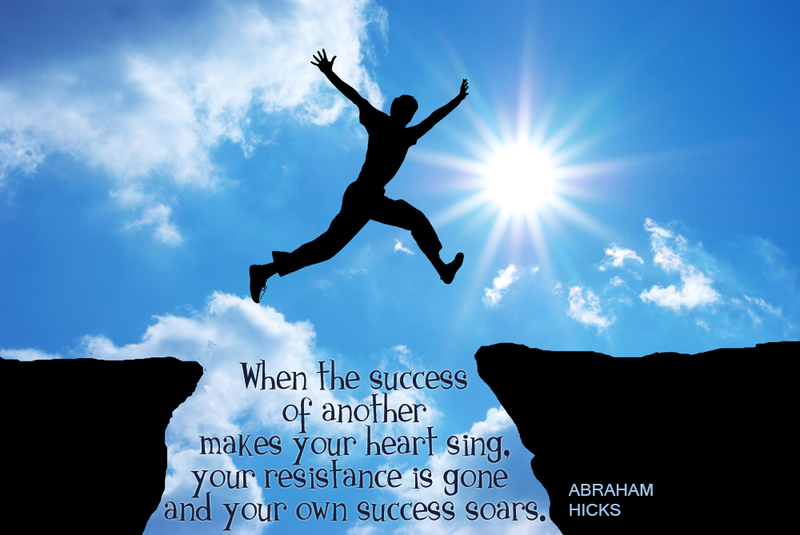 When you see another person’s win as a success for you, you open the door to hope for your own success. Celebrating with others multiplies your opportunities to rejoice. When you are able to congratulate your fellow authors on their successes, you invite them to be willing to celebrate when your book does well. When you’re truly happy for others, they are more likely to be truly happy for you. But real relationships invite the sharing of the highs and the lows. You want to develop the habit of empathizing when things are down and rejoicing in the good times. The law of attraction teaches us that we manifest that which we focus on – and what we resist persists. So if we resist others’ happiness at the expense of our own, we’re likely to be chasing our own happiness while never really fulfilling it. But let’s say that you’ve been trying everything and nothing you’re doing to market your book seems to be making any difference. In spite of your best effort, you’re still struggling, and the last thing you can do is be happy for your friend who just got picked up by a sizable publisher. Here are a few things you can do to lift yourself out of your blues so that you can be truly happy for your friend. They’ll take some work, but with effort, you’ll get there. We’ve mentioned this one before, but it bears repeating in the #1 spot: Keep a gratitude journal. Recording the things for which you are grateful on a daily basis will help you stay focused on the good stuff and enable you to shrug off any emotion that resembles envy. Slow down and meditate. When the jealousy monster threatens to rear its head, take a moment to take a breath. Slow down. Stop. Meditate. Getting clear about the direction you want your emotions to take will enable you to put the envy to bed, if only momentarily. Recognize that positive emotions are as contagious as the negative ones. Read the next sentence out loud and with as much gusto as you can muster: BOY, AM I ENTHUSIASTIC! Read it aloud again, this time like you mean it. Say it one more time, with a big smile on your face. I obviously can’t see you, but I’m pretty sure that if you did the little exercise above, you feel better now than before you began reading this post. You have the power to propel positive emotions to the forefront, so why not use it? Look for opportunities to celebrate someone else’s success. This may involve gritting your teeth or even facing the envy and doing it anyway. Send a congratulations note. 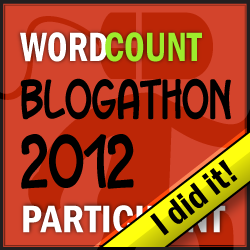 Blog about your friend’s success. Buy an extra copy of their book. If you can find a way to celebrate in spite of the awkward feelings, you’ll get the goodwill flowing, meaning that it will soon be flowing right back to you. Use this mantra whenever the envy threatens to throw you off course. Here’s to celebrating your fellow authors’ success! Do you have a box that looks like this? Business cards you’ve collected over the weeks, months, or years that have yet to be recorded, added to your mailing list, or followed up upon? 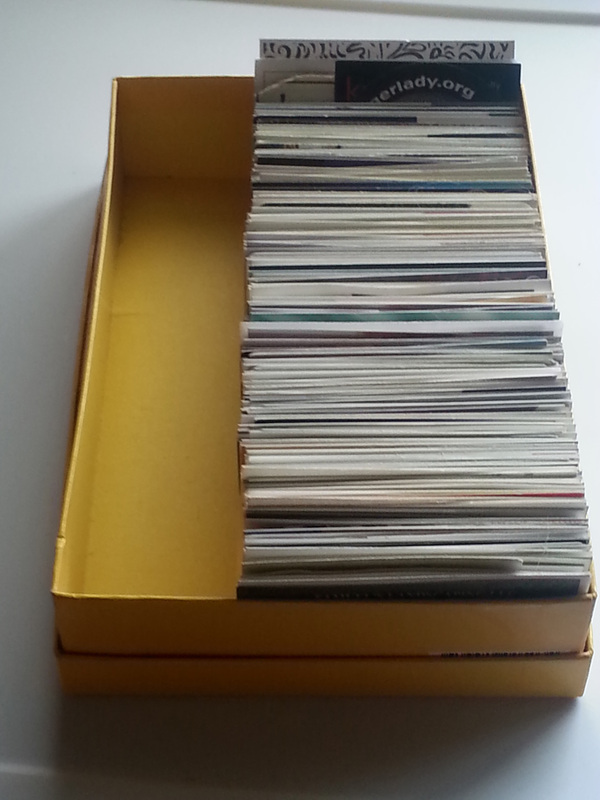 Perhaps the cards you’ve collected are a bit less organized. How many business cards and little bits of paper with the contact info from interesting people you’ve met in your travels do you have in piles on your desk, in your wallet, and strewn throughout your purse or briefcase? As my financial advisor friend Todd Smith once pointed out, would you leave little piles of money lying about? That’s what you’re doing when you don’t follow up and have a way to connect with people regularly. How accurate is your list? Are the names and addresses current, or do half of them kick back as undeliverable? How niched is your list? Is your list made up of everyone you have ever met, or do you have it categorized so that you can send marketing messages about your book to the people who will actually want to buy it? How regularly do you update your list? How often do you toss the bad addresses and add new ones? Do you have your list organized into an A-B-C system? 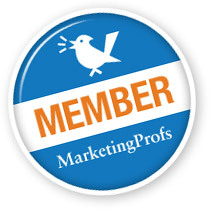 A indicates the individuals who have expressed direct interest in your book or subject matter. B are the people with whom you have a personal connection, but who may not have a direct interest in your book or industry. C are those folks who are one step from elimination. You met them, but don’t remember where, and just happen to have their card in your pile. How often do you contact your list? How many different ways do you connect with your list? If you’re relying only on e-mail, you’re missing a significant opportunity to impact your list. But, in order to be able to send the very effective occasional greeting card (or contact them by other channels), you will need to collect more than just their e-mail address. How do you keep your card from staying out of such a pile? The answer, quite simply, is: Be the first to follow up. Trust me, it works! I attended a networking luncheon yesterday, just a few days after sending out my newsletter. Out of 40 or so women there – not all of whom are on my mailing list – three approached me and told me they appreciate my newsletter, two asked me about the process of writing a book, and one of those indicated she may be ready to begin working with me after the first of the year. All were, at one point, strangers whose cards I had to add to my list. I will admit that the cards in the picture at the top of this post belong to yours truly. So just know, this has been an evolving process for me. I’m much better at follow up now than I used to be! Guess when I collected those cards? Would you believe it was 2009? The good news for you is that it’s never too late to follow up. I found in my research of the individuals belonging to these cards that many of them have changed jobs, careers, or moved away from Phoenix. But I can still find – and connect with – most of them via LinkedIn. So maybe they never made it to my mailing list. Email is a good way but not the only way to connect with people. Some of the success of following up is in knowing how best to reach out to specific people. That may be a hit-or-miss process, unless you got to know the person pretty well on the first contact. But the most important thing is having a process at all. Develop one, and use it! I guarantee it will make all the difference in your success. Here’s to a staying out of the random box of cards! Make your networking pay off by FOLLOWING UP! Much of this content is taken from our October 19, 2011 post. We spent a few weeks discussing the importance of networking as a tool for authors to build their platforms. Here’s a recap of those posts. What’s your networking personality style? Since I can’t meet everyone, who DO I want to meet? Networking success secret: Be memorable! Want to stand out in your networking circles? Get involved! Finally, we’re winding up with some advice about the single most important aspect of networking, and the one that is often the most overlooked: FOLLOW UP. Ever since he wrote his book, Taylor’s been envisioning it as the stepping stone to a keynote speaking career. While volunteering at a large community event, he meets the cousin of a booking agent for a prestigious speakers bureau. Taylor is an SBM* and he’s taken Marcie’s advice, rehearsing his pitch till it flows off his tongue effortlessly, so he makes an excellent impression on the cousin. The cousin promises to introduce Taylor to the booking agent, giving Taylor her card and asking him to be sure to drop her a message in a day or two. At long last it’s all falling into place for Taylor. But he never gets to meet the booking agent – and not for the reason you might think. It’s not that the booking agent declined to represent him, but rather that he never sent the e-mail. Sounds crazy, but people in situations just like this commit similar career-sabotaging acts every day. Fear of success shows up in many, many ways; failure to follow up is one of the most common. It’s also a situation over which you have 100 percent control. Perhaps your situation is not quite so extreme. You’ve just met the speaker coordinator for a small community group. But you hit it off and they like you and appear interested in having you come to address their next meeting. They’ll even let you set up a table at the back of the room from which to sell your books. Are you primed to respond in a timely manner, or will you fall into one of the following traps? They haven’t been trained to follow up and they don’t know where to begin. Even the simplest tasks usually have multiple steps. When we don’t have systems in place or haven’t completely mapped out our strategies, fear of the unknown can cause us to freeze, sometimes keeping us from starting at all. They tend to overthink things. Sure it’s great to have a plan, but beware making things much more complicated than they need to be. Some of us tend to “what if” ourselves right out of good decisions. “What if they don’t respond?” “What if she was just being nice?” You won’t know until you pick up that phone or send those e-mails. They fall prey to the Perfectionist Monster. Certain people get bogged down in the details about how much there is to do and wanting to do it perfectly. Perfectionists are too often perfect at just one thing: watching the door hit them on the way out after someone else has gotten there first. Follow this mantra instead: DONE IS BETTER THAN PERFECT. They don’t prioritize their time. Much like having a system, knowing one’s priorities is essential. But anyone whose time budget is out of control can allow even the most important things to slip through the cracks. Sometimes they just get bored. For adrenaline junkies, it’s the thrill of the chase that excites them. Once they’ve “arrived,” they’re quickly ready to move onto the next challenge and, as a result, feel that following up is the routine, unexciting part of pitching or prospecting. How many books do you think these folks sell? While it is only an excuse, stress is very real and often quite debilitating. When we don’t manage our processes, have no sense of time, and/or procrastinate out of perfectionism, it’s no wonder we get stressed out. Stress is a distraction that can cause depression and other paralyzing behaviors that stop us from making what might otherwise be effortless progress. These are all reasons smart, would-be-successful people fail to follow up. However, when you dig past the surface, they are just superficial excuses. What it really comes down to is that every one of these folks is likely afraid of success. Regardless of what you’ve heard from the people in your life … regardless of your own negative self-talk … it is imperative that you realize that you are worthy of succeeding. Remind yourself that you have the skills, contacts, experience, support – whatever you need – to watch your book(s) power their way to the top of your markets. And then pick up the phone, send that text, or message your new friend on Facebook. Follow Nike’s advice and just do it™ – and then be ready to embrace the success you deserve. Make notes about the person with whom you are trying to connect. These might include anything from their hobbies and interests to their spouse’s name to their alma mater to their future plans. Doing so will make your follow-up conversation easier. Do it right now, while you’re thinking about it. Take action before your gremlin has a chance to talk you out of it. Just pick up the phone! Don’t take things personally. Regardless of how well you employ your follow-up plans, you will find people who’ve forgotten about your appointment, are busy, have changed their minds, or may even cut you off. Do you remember the old deodorant commercial? Never let them see you sweat. And don’t take the situation personally. Just make another plan to follow up again and continue the conversation. Be personal. Address your new friend by name and review the issues you touched on in your initial meeting. In addition, do your homework and if the opportunity presents itself, be ready to offer other useful, relevant information to further the conversation. Be thorough, but be brief. Remind the person of where you met them (if it’s a brand new contact) and why you’re calling so they understand precisely why you are connecting with them. Remember, however, he or she is probably busy and may have a limited attention span. Make sure to limit your conversation to details they will relate to. Become a resource. Remember that your goal is to create relationships, so avoid focusing entirely on yourself, your book, your request. Let your new friend know that you are a resource. Make them confident that knowing you and building a connection with you can be of significant assistance to them in some way. Provide a clear call to action. Make clear at the end of your conversation or message your request for the next steps. Keep it simple, but be specific and tell them exactly what you want them to do next and by when. One important thing to keep in mind is that you only know what you know. So don’t fall into the trap of making assumptions. When someone doesn’t immediately return our phone call or e-mail message, we very often assume the worst – they’re just not interested – even if we have no information to back up that assumption. Sure, it might mean that they’re not interested. Or it might mean they had a family emergency and they’ve put their work on hold for a while. Think about your own lack of follow up – the very topic of this post. Are you not following up because you’re not interested? Sure, once in a while that’s true. But equally often, you’re very interested – nevertheless, you don’t get around to the follow up for some reason. If the other person were to contact you, would you jump all over the chance to resurrect the conversation? If your answer is yes, put yourself in their shoes, and quit making assumptions. Follow-up is your friend. It is one of the most important tools in your networking toolbox. Make my friend Helen Goodman, of Primo Promos, your role model. Helen has the most outstanding follow-up skills of anyone I have met in all the years I’ve been in business. She gets back to you the same day, goes out of her way to get you accurate quotes and help you order your products, and she does it all with a cheerful attitude. So what’s YOUR follow-up plan. Share your tips and ideas in the comments section below. And in the meantime, happy networking! Well, we took a little hiatus (short for us!) to do some much-needed work and revamping of the Write | Market | Design website. It’s not done – a good website is never done – but it’s vastly improved. Many of the broken links are no longer broken. We’ve added some depth and grit to our pages. Feel free to take a look and give us some feedback. Now we’ll move on to our discussion about the benefit of getting involved in your networking groups. Many years ago, I knew a man from the same organization where we did the Hokey Pokey. Stan was a Melaleuca distributor and I remember two other things about him: (1) he publicly bitched and moaned at every opportunity about being single and wanting to meet a woman, and (2) he complained that after a year with our group, he’d never gotten any business from it. Of course, all he did was show up for the meetings 5 minutes before they started, recited his boring 30-second intro during the meeting, tried to sell the people he met on the value of a Melaleuca membership, and left 5 minutes after the meeting ended. Is it any wonder he never got any business? About the same time, I was asked to act as greeter at a meeting for a different group. I went to the front door of the hotel where we met, greeting the guests and members as they arrived and directing them to our meeting room. A new member walked in, and I greeted her by name: “Hello, Kerri!” I don’t know who was more surprised that I knew her name, she or I? After my initial shock wore off, I realized that I knew her name because I was an officer, and part of that responsibility involved getting to know every member – even the new ones. In Phoenix, as I’ve mentioned, there’s a TON of competition for our networking time and dollars. As a result, many groups are struggling for membership as they find themselves redundant and/or ineffective. The groups that thrive have active members who care about the mission, vision, and future of their organizations. Most networking groups have boards of officers made up of volunteers. The better ones have regular planning and strategy meetings. Larger groups also invite non-office members to take active roles by serving on committees. If you want to increase your visibility and improve your networking ROI, get involved in the leadership of your favorite group. Will it take time? Yes. How much depends on the specific role and the nature of the particular group. Will it benefit you? OF COURSE! You will develop leadership skills, come out of your shell if you’re the quiet type, and be visible so that all the members become familiar with you and your business. Most importantly, you will become an indispensable part of the team that makes your group function properly. Well, we’re about at the end of our Author Networking series. One more post about the importance of follow-up. See you then!